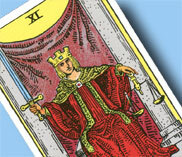 On the Rider-Waite Tarot card we see a figure similar to the classical Roman “Justitia,” goddess of Justice and Law. Generally, Justitia is shown blindfold, with a scale in one hand and a scale in the other. The blindfold shows her neutrality and her ability to discern the truth without distraction from external influences. 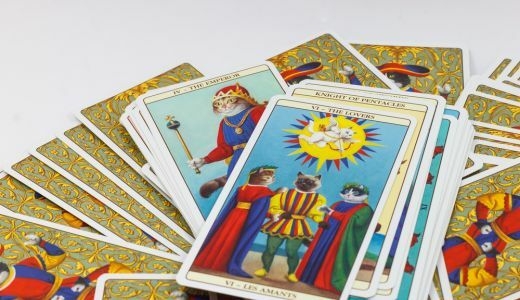 But the figure in the Tarot Justice has no blindfold — perhaps to suggest that the truth should not be judged of others, but recognised about oneself with eyes wide open. The Justice sits between two grey columns that show neutrality and objectivity. The uplifted sword in the right hand is a symbol for clarity and consciously made decisions. The emphasis on justice is shown by the outthrust right foot on the right side of the throne. The right-hand-side is the side of understanding, clarity and consciousness. 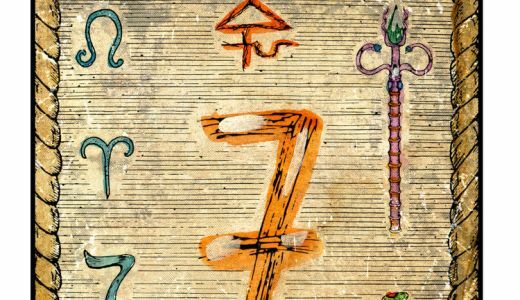 But intuition is not left out, either: the scales in the left hand make it clear that the decisions or judgement is in good balance with the inner voice and inner conscience. The red robe is a symbol of power — in this case the power of recognition and over our own life, if we are self-responsible. The purple curtain is the connection between heavenly and earthly truth. The green cape suggests the harmony that is achieved if we take on the responsibility for our own life. The castellated crown with three peaks represents society, whose laws we must obey. 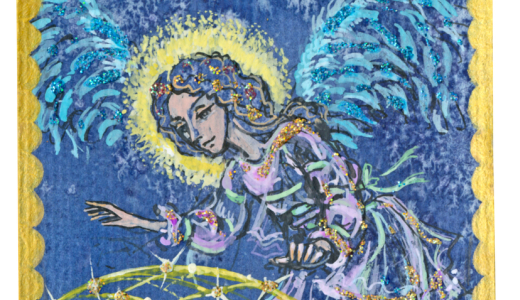 The Justice Tarot card challenges us to take the responsibility for our own lives. We sometimes barely notice just how many decisions we make in a single day! We decide to drink a coffee in the morning, or not. We decide to leave the house at 7:00 or at 7:10. We decide to wear a red or a black sweater. We decide every day to meet this day positively or distrustfully. Life is composed of these small everyday decisions that decide our future. We sow the seeds daily for the harvest of tomorrow, and if we don’t do it ourselves with full responsibility, then “life” or “destiny” is going to decide the future for us instead. It is therefore important to utilise intuition as well as understanding. The Justice card further symbolises clear judgement, the objective point of view, the neutral and critical analysis, fairness, the negative assessment. The biblical saying, “As you sow, so shall you reap,” fits the Justice card well. The big meaning of this Tarot card for me is self-responsibility. This also implies the responsibility for a decision whose consequences may not have been so clear from the outset. The power of recognition comes into play here: We should not only judge ourselves, but also draw on the experience gained for future benefit. This recognition also shows that we accept the limits of our physical existence.